I sure hope everybody knows what an eclipse is and there’s no need to pass through that again; if not, here’s the wikipedia article about eclipse. What I’m more interested in telling you about is why the Moon tends to get this delicious reddish hue during some eclipses – as observed in this fascinating picture. The matter can be understood quite easily, if you think as the matter as being on the Moon. If you’re on the Moon during an eclipse, then the Sun would appear to be setting behind the Earth. As you’ve probably seen, during sunlight or sunset, the sky sometimes gets filled with these reddish colours as well, and the reason is quite similar. 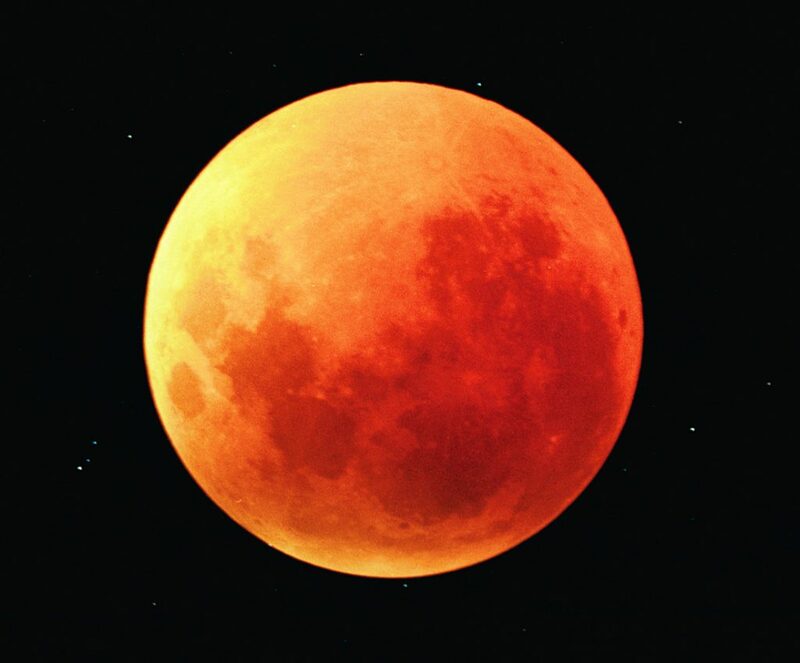 The red coloring appears because sunlight that reaches the Moon must pass through a long and dense layer of the Earth’s atmosphere, where it is scattered. Shorter wavelengths are more likely to be scattered and so the longer wavelengths dominate, and the resulting colour is red.